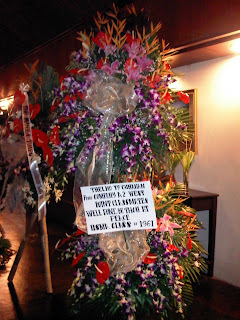 Yesterday, we buried my dear husband, Lt. Gen (ret.) and Ambassador Thelmo Y. Cunanan at the Heritage Memorial Park in Fort Bonifacio, Taguig, with all the pomp and pageantry as only the military could accord. Yesterday was also our 45th wedding anniversary. Months back, before his health took a turn for the worse, we had plans of doing something different to celebrate that milestone. I wanted to host an intimate and romantic dinner for friends and relatives in the beautiful "Balay Negrense" in Silay City, Negros Occidental, to celebrate our 45th wedding anniversary. My husband, then already on hormone therapy for his prostate cancer, loved the idea, and in a visit to Bacolod City some time back, I talked to my dear friend, Balay’s curator, Negros Cultural Foundation’s indefatigable president and civic leader Lynn Gamboa, about my idea. Lynn got quite excited and said she’ll help me put it together---the candlelight dinner would be on the second floor of that antique mansion and our guests from Manila could all be accomodated in Silay's inns. But God changed our plan. Upon learning about our 45th wedding anniversary yesterday, many friends and relatives became even more grieving; but I told them not to, for I had all those years. Even if I live to be 100, I joked, I would have enough memories to sustain me. Over the next week or so, I shall ask for the indulgence and even the forbearance of you dear readers, for my heart is very full at the moment. 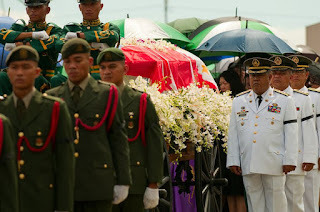 I’d like to share some memories of those 45 years that came rushing over the past few days as we went through the necrological services sponsored by the military and the three civilian offices he had served in, as well as recollections of our relatives and friends here and abroad. I shall be writing about some highlights of his 36 years in the military and his sixteen years of service to country as a civilian official after his military retirement: as ambassador to war-torn Cambodia (President Ramos said he needed a general to re-open the embassy in Phnom Penh after nearly three decades of its having been closed owing to the war there), as president and CEO of the Philippine National Oil Company, and finally as Chair of the Social Security Commission. In between those civilian jobs there were the watchdog mission to the first crucial elections in the post-Suharto Indonesia and the mercy mission to refugees fleeing from East Timor to West, organized by Cardinal Sin and Cory Aquino, that he headed. And of course, there’s our growing family as our three children have married and two of them have their own children. It was most heartwarming for his family that officialdom from five administrations and friends and relatives we hadn’t seen or heard from for years, as well as the simple folk he had crossed paths with or who had served under him all came to pay tribute. I shall also comment on the beautiful funeral mass, our send-off on his journey to his Father in Heaven. It will be a mass our friends and relatives will long remember, for it combined the incredible gift of homily about love and forgiveness by the charismatic Fr. Jerry Orbos, SVD, and classic religious and love songs (including our favorite, “Light of a Million Mornings”) rendered by some of the country's leading tenors and sopranos. Special thanks to my former editor-in-chief at Inquirer, Letty Jimenez-Magsanoc, who helped persuade the super-busy Fr. Jerry to rearrange his morning to be able to say the funeral mass. I told Letty that if there's anyone who could coax Fr. Jerry, it's her as he is her columnist. A million thanks too to the dedicated president of the Philippine Opera Company, the lovely Karla Gutierrez, for putting the “mass concert” together in a day and a half’s time! For the moment, as we take a rest from the critical days of caring for him at Medical City where he passed away, and the five days of the wake and burial, allow me to reprint here two letters from US-based friends. The first is from his classmate and roommate at the US Military Academy at West Point, New York, Bill Seltz, which was read at the military’s necrological service for Gen. Cunanan last Friday by another West Pointer, Roger Luis, the best man at our wedding. In his piece, titled “A message from a West Point classmate,” Bill wrote: “Thelmo came into my life on July 3, 1957, when we met at West Point in New Cadet Company. It was there, in the Old South Area, that the Class of 1961 began its journey. 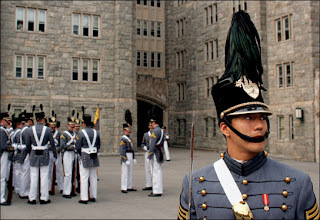 From the beginning, Ty – that is how most of us knew him – got Beast Barracks awards, because he had already been a cadet for a year at PMA before entering West Point. "We plebes grumbled at that time that it was so unfair: Thelmo was always well prepared; could assemble weapons in a flash, and dress in a minute. In fact, from that time and forever, he always reminded me about the superiority of PMA over its US counterpart. 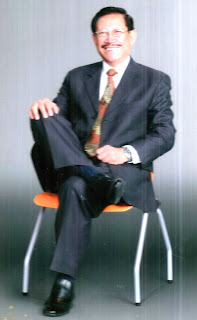 “In September, 1957, we both joined Company A-2 and graduated four years later. This week, upon hearing about Thelmo’s passing, our A-2 mates and others have been in regular contact, reviewing memories from Cadet days, and contacts with Ty made over the years. A few days ago, the biography of Thelmo, written eloquently by his son, Buddy, (and published in the Manila Times---BOC) was placed at the West Point site. “All of us knew pieces of his career, but the depth of Thelmo’s many contributions to his country was new to most of us. Among our A-2 graduates two made General, and Ty bore the higher rank. Flowers from Company A-2 and the Class of 1961 were sent there to honor Thelmo. 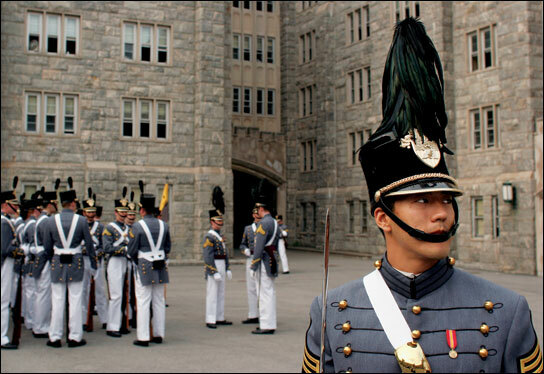 “While at West Point, Thelmo met my family, and later we met Belinda and her beautiful family. 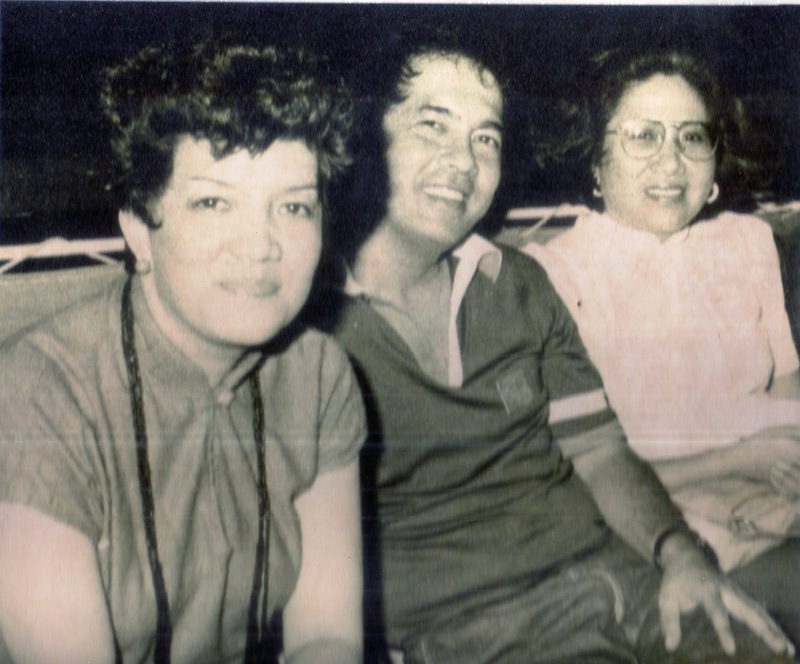 The family connection led to Thelmo and I becoming co-uncles (Bill’s sister, Elizabeth, later married Thelmo’s elder brother, Carlito Cunanan, a graduate of the US Naval Academy at Annapolis, who rose to the rank of admiral and became Philippine Navy Chief---BOC). From classmate to roommate to co-Uncle; that has been a blessed way to be linked to Thelmo. “This summer, the Class of 1961 will gather to celebrate our 50th Reunion . In anticipation, Thelmo submitted all necessary particulars for our class photo and history album, expecting – perhaps hoping – to come. In my last phone call with him in the Fall, he alluded to an illness, but he was, as in all our communications, upbeat and positive. While in the Cadet Chapel, at West Point , during our reunion, Thelmo’s name will be read aloud as he is publicly acknowledged by his classmates. “The class motto is “Sixty One; Second to None”. Thelmo truly has fulfilled that motto, for he is first in the hearts of his classmates, his extended family and his country. “Company A-2 and the West Point Class of 1961 are very proud of Thelmo “Ty” Cunanan. The second letter was recently emailed by Precious Lotilla-Javier, widow of our Philippine hero for democracy, former Gov. Evelio Javier, whose body was riddled with bullets by a political warlord's henchmen as he defended and protected Cory Aquino's ballots in his native Antique. Precious recalled what Evelio, Sally Perez and I did in helping to make Cory Aquino win over Ferdinand Marcos. While Precious never met my husband because she was already living in the US at that time, her testimony now is very much a tribute to him---for he allowed and even encouraged his journalist-wife in those turbulent times to run around the country and help shore up with my typewriter and later my computer our democratic institutions, which he himself defended in various instances at grave risk to his own life. “I will never forget how you were always with us during happy times, sad times, difficult times. Thank you for that article on Evelio’s last Christmas. You, Sally and Evelio were running around doing your political rounds to save the country from a dictator a few days before Christmas 1985. You observed how Evelio was depressed. He would write me about the same feelings that Christmas. Also, in his last letter that Christmas he said: “I will love you forever.” I think at that time he knew he was going to go soon. “I have your articles on Evelio’s 1984 campaign. You were with us in the plane that took his remains to Antique. And of course, the articles you wrote. “I share your grief. I felt your pain as I read the bad publicity and villification of General Cunanan months ago. Having gone through the same experience, I prayed for both of you that you would be given grace, comfort and strength to bear such undeserved heartbreak, which came so sadly in the twilight of his long and distinguished career. “Bel, my thoughts, my love and my prayers are with you and your family. I pray that God will grant your husband his much deserved rest in His bosom-- where there is no sickness, pain or heartbreak. I pray that you and your family will be given comfort and strength to go through these sad and difficult times."